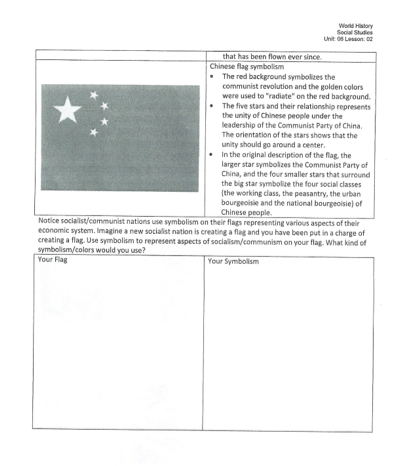 CSCOPE Director Danny Lovett was caught lying about Chinese/Soviet Communist Flag Lesson while speaking to parents at Lumberton ISD "Truth about CSCOPE" Presentation. Director says CSCOPE lesson teaches kids in Texas Schools that Communism OPPRESSES, but truth is the Lesson teaches the Communism UNITES. Proof shows that this CSCOPE Curriculum shows Communism positively, not negatively. 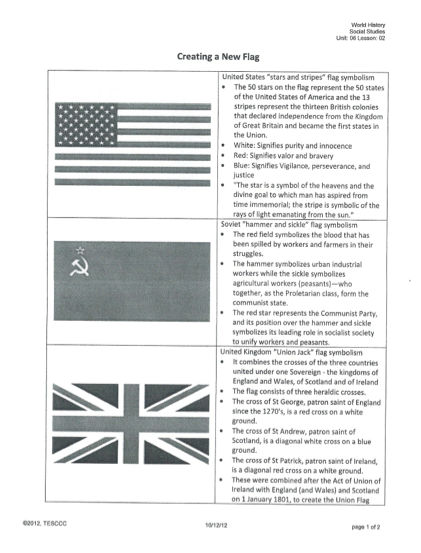 After a few minutes of heated discussion and dodging questions, Danny Lovett goes on to defend the "Communist Flag Lesson" by blatantly lying about what was in the lesson. As you can see in the video, CSCOPE Director says, "The whole thing is designed to show that the Communist government is oppressive." The Problem is NOTHING HE SAID IS TRUE. See the paper in the CSCOPE Director's hand in the video? That is the Chinese Communist Flag Lesson. I got a copy of that lesson to see if what Danny Lovett was saying was true. The Truth is, what the LESSON says completely CONTRADICTS what the CSCOPE DIRECOR says. As you can see, the Chinese Flag Lesson says NOTHING about Communism being over and OPPRESSING the people. In fact, the lesson says the Chinese People are UNITED by and around the Communist Government. The Lesson says nothing about Soviet Communism OPPRESSING the people. In fact, the lesson says that the Communist Star in the Flag Symbolizes its role in UNIFYING the people in the Socialist Society. He even lied about this! Danny Lovett says that the lesson teaches that the stars on the U.S. flag are all equal to show that the people are all equal. Well, the U.S. Flag says nothing about the size of the stars and what they mean. Conclusion: This CSCOPE Director LIED. He Told Lumberton Parents GREAT things about the lesson like how the lesson explains to kids that Communist Govenments OPPRESS people but the American Government treats everyone equal. The LESSON teaches something completely opposite of what he told parents. The LESSON teaches that Communism UNITES people, not oppresses them, and it says NOTHING about people being equal in America. The TRUTH is, any Kid Reading the Lesson will believe that Communism UNITES the people, NOT OPPRESSES THEM. Kids then DREW COMMUNIST FLAG Finally, at the end of the video, You Heard Right, the Kids were asked to draw their own Communist flag, based on what they learned from the LESSON. The problem is, contrary to what Danny Lovett said, the LESSON teaches that Communism UNITES people. I can only imagine what Communist flags the kids drew. Maybe they drew people holding hands around the Communist Government that "Unites" them. That is what the lesson teaches. CSCOPE DIRECTOR LIED! Communist lesson did NOT teach that Communism was Oppressive. Students should NOT have drawn a Communist flag. We should make sure they understand AMERICAN values before false Communist values. If this CSCOPE Director BLATANTLY LIED about this Communist Lesson, what else will they lie about?